Family and social visitations are essential for an inmate to successfully reintegrate into society when released. Kolbe promotes visitation while maintaining proper security measures. Visitors are required to obey all instructions and to comply with all administrative regulations. 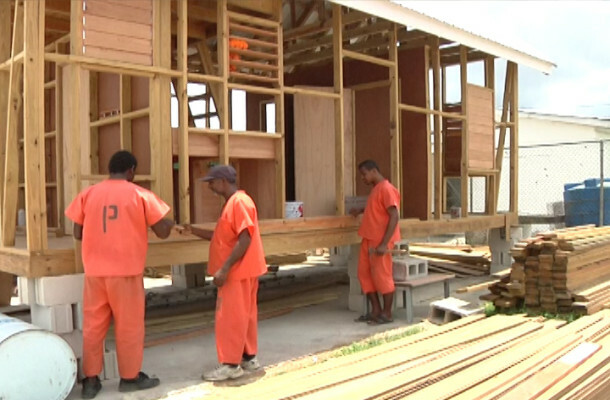 All inmates, whether remanded or convicted from Tango 8, 9, 10 and 11 will be recognized as the remanded category. All inmates, whether remanded or convicted from Tango 1 to Tango 7, WYF and Females will be recognized under convicted category. Kolbe's Aim - To Provide a Secure, Humane Facility Geared, Towards Meaningful Rehabilitation. Below is a basic listing of prison rules and regulations. For any other inquiries, please click here> Contact Us. Inmates from the Wagner’s Youth Facility (WYF), Addiction Rehabilitation Center (ARC) and those facing sanctions do not receive normal visits. Kindly contact the Prison to confirm visiting schedule or arrangements. Contact our offices at 501-225-6190 to speak with us about how you can assist us. Punishment by incarceration deprives offenders if their most fundamental human right - freedom of movement and freedom of association. Incarceration also seeks to protect the community from these offenders, however, the majority of them come from a complex environment with grave problems such as drug addiction, unemployment and homelessness. As such then, the aim should be to improve the prospects for their lives upon release. It is our belief that appalling inhumane prison conditions, absence of rehabilitation of family/community reintegration programs, actually only gives inmates a better chance of improving their criminal skills. Burrell Boom / Hattiville Rd.